Fashion Fridays – Lululemon Edition! I am excited to announce that going forward, every Friday I will be doing a fashion review on the blog. The fashion review will be focused towards some sort of fitness apparel, since this is a running blog! However that doesn’t mean other fashion items won’t be sneaking their way into these reviews. So, Fashion Friday Volume One, let’s go! 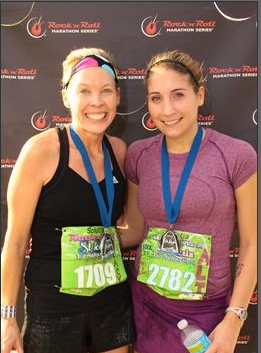 I purchased the Run: Swiftly Tech Short Sleeve top in October for the Rock ‘n Roll half marathon. Since that race, I have worn the top to kick boxing class, and bootcamp. The top is great! It is lightweight, and breathable. It also is a great moisture-wicking fabric, therefore you can wear it in hot weather alone, or cold weather as a layered item. It is soft, long, durable, and moves great with your body, which makes it a perfect top to wear to bootcamp/kick boxing class. Yep, you have seen this top before! It is hard to think of too many cons for this shirt, other than the fact that it is a little pricey ($58). The only negative thing I have to say about this top is the fact that it rides up a bit when I am wearing it. This issue could possibly be corrected if I got a larger size, but I have yet to try one. Yes! I already plan on adding more colors of this top to my running collection, and possibly the long sleeve version if I can save some money. It is a great top, and so far seems very durable after the many loads of laundry it has been through. I doubt you could notice, but the most fabulous part of my outfit above are the Kate Spade earrings I am wearing. I always try to add a little pizazz to my outfit, and when I’m working out it’s no different. A big thank you to my wonderful friend Brianna who gave me these awesome earrings for Christmas! ← Let’s Get Lean, GNC Lean! To say that you are too cute is an understatement! 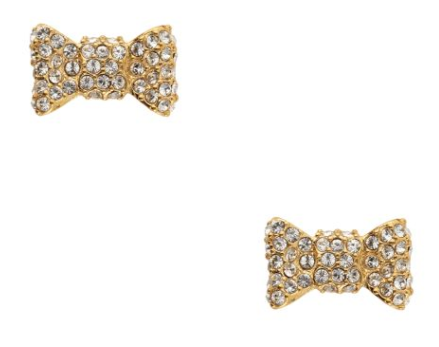 Love the Kate Spade earrings, who doesn’t need a little dazzle every day?! 🙂 Happy Friday!!! I did it again and forgot to say who I was….it’s Lindsey. That’s a cute running top! $58 seems like a lot but you definitely sold me on the versitility. 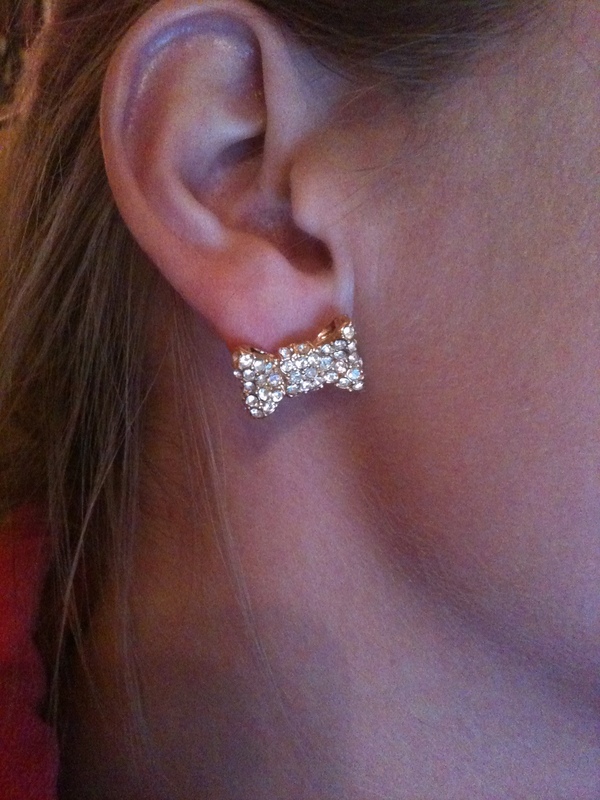 The earings are so cute too! I think you forgot to tell your readers that you have another accessory that matches those earrings! hehehe!! You have to love Kate! I am giddy just thinking about the new bag and wallet that will be waiting at my door tonight when I get home from work!! Love the New Fashion Fridays, something I can relate to since I am not a runner! Love the Kate Spade earrings, but don’t wear them running you dont want to lose one! I think Fashion Friday’s might become my favorite addition to your already enjoyable online journal! 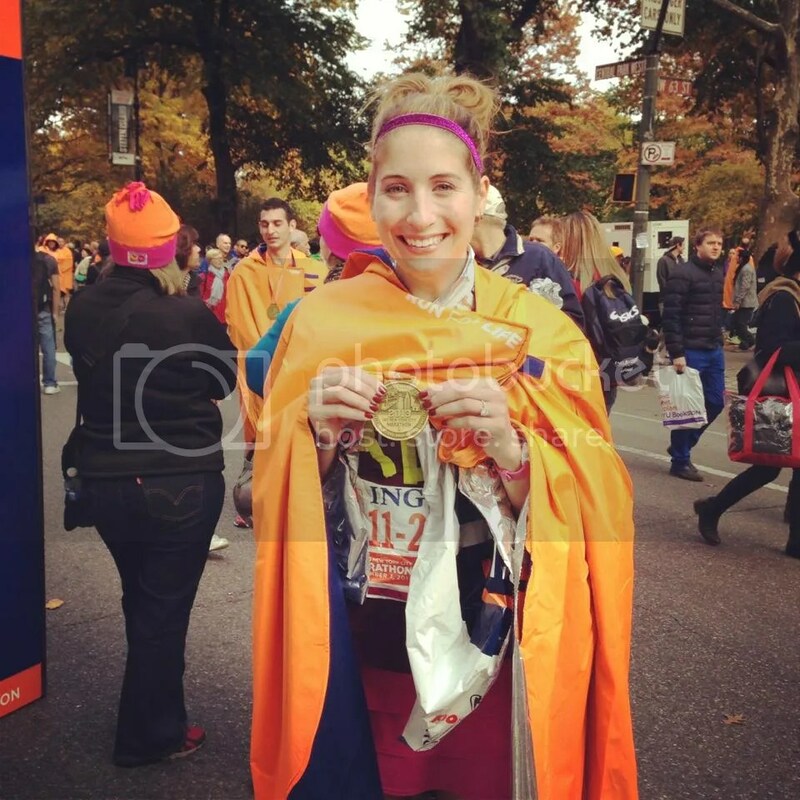 I’m loving that running top – great review. Just wish all those Lululemon workout clothes weren’t so pricey. I guess it’s the price we pay for looking good while we sweat! And those earrings . . . What can I say?!? ADORABLE!!! I have that same top in blue! I love it, but I agree in that it rides up a lot. I actually stopped wearing it while running and just for yoga or workout classes, just for the sake of everyone not seeing my stomach while I run 🙂 hehe.